The question is how conditions at the Rehabilitation Center at Hollywood Hills deteriorated so quickly in the wake of Hurricane Irma. Investigators looking into the deaths of eight residents at a South Florida nursing home that lost its air conditioning amid ongoing power outages following Hurricane Irma said that at least one of them died Tuesday, several hours before authorities say they were alerted to a crisis at the facility early Wednesday. 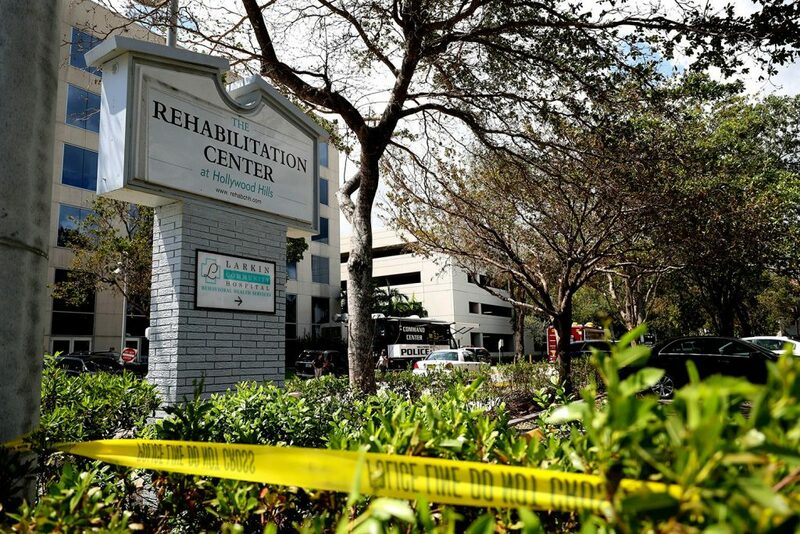 This revelation added to the lingering questions surrounding the nursing home in Hollywood, Fla., and how things were able to deteriorate to such an extent that several patients died and more than 100 others were moved from the stifling facility to hospitals. Authorities in Hollywood, where police have opened a criminal investigation of the deaths, said Wednesday that investigators had found that the nursing home still had some power. But the initial investigation found that “the building’s air conditioning system was not fully functional,” the city and police department said in a joint statement. Police said they have obtained a search warrant for the Rehabilitation Center at Hollywood Hills, which has a history of citations and poor inspections. Detectives were at the nursing home Wednesday continuing the investigation. But it was still unclear Thursday just how such a horrific scene was able to unfold in Hollywood at a nursing home not far from Fort Lauderdale. Hollywood officials say the city’s Fire Rescue was first called to the facility at 3 a.m. Wednesday for a report of a patient in cardiac arrest. That person was taken to Memorial Regional Hospital just feet away from the nursing home, and then an hour later, firefighters were called back for a patient experiencing breathing problems. According to a timeline released by the city, a fire official contacted a state agency to report their concerns about the nursing home, and not long after, a third call for help came from the nursing home. At that point, more Fire Rescue crews headed to the facility and began going through it, while Memorial hospital staff also headed in. City officials say three people were already dead inside, and others were pronounced dead later. Eight deaths have been confirmed, including the person who apparently had died before firefighters were first called to the nursing home. Local officials say the person who died early Tuesday had a do-not-resuscitate order and was taken directly to a funeral home. After the investigation began, the medical examiner went to the funeral home to claim that body and make it part of the inquiry, authorities said. Causes of death have not been released for that person or any of the others who died at the facility. After the deaths were reported and the investigations launched, the Agency for Health Care Administration issued a moratorium keeping the nursing home from admitting any patients for the time being. The nursing home was aware on Sunday that its air conditioning “ceased to operate effectively” and placed portable air coolers and fans throughout the facility, according to the moratorium, which was signed by Justin Senior, secretary for the health-care administration. The order also said that residents were suffering “respiratory or cardiac distress” between 1:30 a.m. and 5 a.m. Wednesday, and does not mention the patient who died Tuesday and was taken to the funeral home. The office of Florida Gov. Rick Scott said the facility had told the health-care administration it had electricity and access to fans and coolers as of Tuesday afternoon. Broward County, where the facility is located, had said that the nursing home contacted local officials Tuesday morning to say that it had lost power. In a statement, the county also said the nursing home reported that a tree was on a transformer. Broward County had said it did not label the nursing home as “critical” infrastructure based on a Florida Power and Light guidance document suggesting that these facilities are “non-critical, but play a decisive role in community recovery after a serious event,” the county said in its statement.